The human brain is a soft, gelatinous organ that occupies the skull and weighs around three pounds in an average-size adult. It is suspended in a fluid called the cerebrospinal fluid, and together with the spinal cord comprises the central nervous system. The outermost appearance of the cerebral hemispheres consists of folds and depressions (gyri and sulci) which are named according to their location. 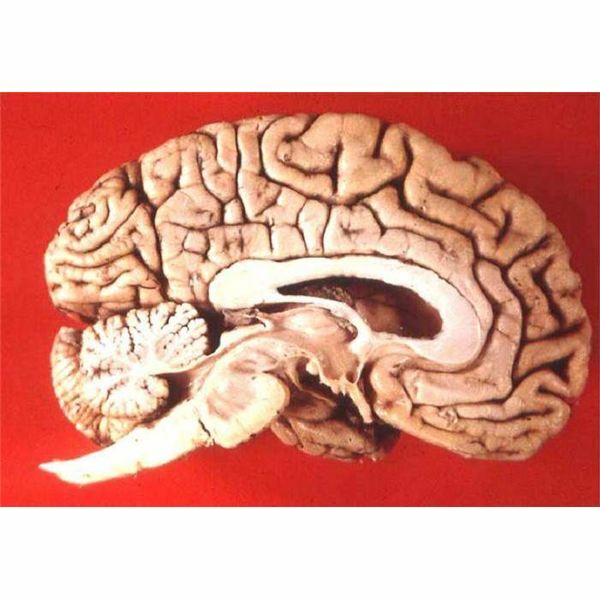 At the bottom of the hemispheres are the brain stem and the cerebellum. Aside from the bony skull which houses the brain, it is also protected by an outer covering called the meninges which likewise enclose the cerebrospinal fluid. This fluid’s circulation is isolated from the general circulation by the blood-brain barrier which is also a protective feature although not completely impenetrable, especially during times of decreased resistance. Learn more about the central nervous system and the other parts of the brain or its anatomy from these resources. The brain consists of billions of neurons which conduct electro-chemical signals to and from the brain and nervous system. Other types of brain cells include glial cells which are more numerous than the neurons and serve to support their function. 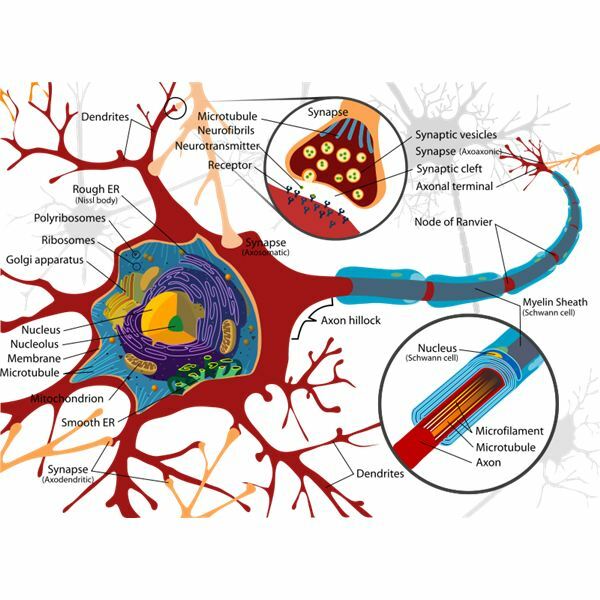 Neurons have conducting fibers which vary in length and may be as short as a fraction of an inch to several feet long. Branches of these fibers form networks where chemical signals occur through synapses. The Basis Of Artificial Intelligence – Can Neurons Be Emulated Digitally? People often take their brain function for granted. Although thinking and willfully performing most actions are obviously carried out through conscious thought processes, many of our bodily functions such as regular breathing, blinking and yawning are under the control of the brain. Specialized functions of the brain are under the influence of the different brain centers which act in a coordinated manner. Networks of billions of cells work like parallel processing units upon which artificial intelligence machines or computers are being modeled. Of course, the brain, in coordination with the rest of the nervous system is much more superior to any computer, machine or robot. The electrochemical processes that take place in every brain function involve the release, binding and reabsorption of chemicals known as neurotransmitters within the synapses or junctions between cells. Balance among the different types of neurotransmitters like acetylcholine, dopamine and serotonin is important to maintain homeostasis. Many brain disorders or neurologic conditions are thought to be brought about by certain imbalances in the production, release or reabsorption of these neuro-chemicals. There are many conditions that can affect the structure, function and the development of the brain. These include genetic, developmental and environmental factors such as infections, pollution and drug intake. Physical and psychological trauma can also cause changes in brain function. Just as we take care of other parts of the body, we can follow a number of steps and exercises to ensure that the brain is in tip-top shape. Although it is a highly potent organ that controls all our thoughts, bodily processes and activities it is said to be much underused, in that there is always more we can do to improve memory, analytical reasoning, and problem solving abilities. We just need to know how.